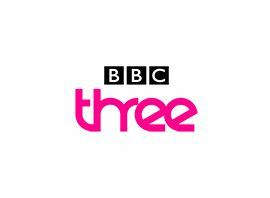 BBC Three is a television channel from the BBC which broadcasts via digital cable, terrestrial, IPTV and satellite platforms. The channel´s target audience includes those in the 16?34-year-old age group, and has the purpose of providing "innovative" content to younger audiences, focusing on new talent and new technologies. The channel is on-air from 7 pm to around 4 am each night. Unlike its commercial rivals, 90% of BBC Three´s output is from the United Kingdom. 70% is original, covering all genres, including animation, comedy, current affairs, and drama. BBC Three has a unique 60 Seconds format for its news bulletins, adopted so that operation of the channel could be completely automated, without the complication of dealing with variable length live news broadcasts. BBC Three´s programming consists of comedy, drama, spin-off series and repeated episodes of series from BBC One and BBC Two, and other programmes that attempt to alert others of their actions through a series of programmes challenging common beliefs. An example of BBC Three´s comedy output includes the award-winning comedy Little Britain, which in October 2004 broke its previous viewing record when 1.8 million viewers tuned in for a new series.